Many of the blogs that I have posted for your review have been deconstructions, ruminations, or an extreme analysis of music I have been listening to in the "rock room". Today's blog is just a greeting to the people who do read my blog, and a thank you for reading it. I do this because I obviously love music, and I really like to blather on about it. It would be nice to get paid for this kind of work, but in the meantime I will continue to write for the joy of it. Which is the only real reason to do it, for the joy. If anyone EVER has any suggestions about shows, recordings, or artists that you would like to see mentioned or reviewed on the blog please do not hesitate to write or post. My hopes for this blog spot, is that it will become a place for like minded folks to introduce others to the" rare rock gold" that we all love. I want this spot to express the importance of not only "hearing" music, but "listening" to it. Letting it soak into your skin and envelop you like a soak in a steamy bathtub. I hope that through questions and comments I can get "turned on" as well as my readers. If I can encourage one of my blog readers to hunt down a rare field recording I have reviewed, and to go on their own journey into the dark forest of music exploration it would be fulfilling for me. I hope to ignite conversation, and encourage thought about the classic musicians featured in my writings. I understand from experience that once you dig into the family tree of rock history its branches stretch in directions that you cannot even fathom. Following these branches to the blossoms and leaves representing the artists of our time, and exploring their musical relationships is a fascinating undertaking. I hope to have the first "rock room" concert review sooner than later. I will traveling to see Neil Young and Crazy Horse this week and plan on being able to compose a review of the performance for y'all to read. So, that's enough about me. If you are reading this you are obviously here to read about some rock. In the interest of not having this entry be a total loss, I will briefly review what is spinning as I write this. I wonder what went wrong." The next track "El Condor Pasa" features the artists that Paul brought with him on this tour "Urubamba", and the "Jessie Dixon Singers" . 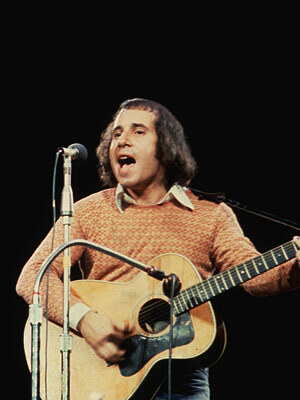 "El Condor Pasa" is a song that was on the final "Simon and Garfunkel" LP, "Bridge Over Troubled Water". The version on this live LP destroys the studio cut with stunning instrumentation and absolutely glittering and crisp Paul Simon vocals. A must hear version of an amazing song. I will include the performance at the end of this post so you may judge for yourself. Side one continues with definitive versions of two of Paul's detailed story songs, "Duncan", and "The Boxer". Again, both of these numbers benefit from the added instrumentation making them definitive versions. "The Boxer" twinkles like a soft star with delicate mandolin, whispering woodwinds and Simon's lullaby storytelling. " Side two opens with a gospel revival version of "Mother and Child Reunion" with the Jessie Dixon singers in full throat. The slow shift from folk, to gospel, to world music over the course of Paul's career, can see its genesis in these live recordings. The rhythmic hand claps, in addition to the joyous vocals again make this a version that all others must be judged against. "The Sound of Silence" and "Bridge Over Troubled Water" both of the "big" songs receive the gospel treatment. 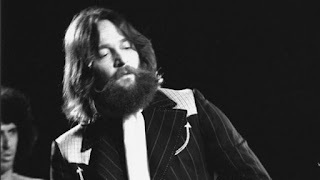 The "Jessie Dixon Singers are featured on these songs as they share vocal duties with Paul. I must admit the slow vocal treatment of these songs breath new life into songs that are sometimes over played. The overlapping of vocal lines, sharing of harmonies and swapping of lyrics create new counter melodies and encourage playful voice exchanges. In between these songs the "Dixon" singers get a church organ drenched spotlight. They preform "Jesus Is The Answer" in all its soulful glory. I am listening to the LP so unfortunately I do not have access the the bonus tracks that were included on the CD reissue of this record. If you, the kind reader have these tracks, (Kodachrome and Something So Right) and want to comment on them, I encourage you to do so. The finale of the album comes with a stompin' "Loves me Like A Rock" that gets the crowd whipped into hand clapping frenzy. Then Simon ends the LP with a tender and poignant version of "America" solo acoustic. Before starting the song someone from the audience asks Paul to "say a few words". Paul Simon responds with, "Let's hope we continue to live" which gets rapturous applause from the attendees of the show. Once again a heartfelt and" best of" version closes this collection. Paul Simon, "Live Rhymin" is a huge success as a live musical document. While not as well known as other Simon recordings, it captures critical moments in his musical growth, and offers an insight into his development. Any admirer of Paul's works should have a listen to this LP for its unique versions of well known tunes. I wish this LP was a double set as I have read reviews of shows from this particular tour which tell of concerts extended to twenty plus songs performed. This LP is a perfect mate with a steamy coffee on a early quiet weekend morning. With only the sunrise and birds as an accompanying soundtrack. "Let's hope we continue to live", Paul says on this recording. Truer words have never been spoken. To start your introduction to this collection of live performances I have included a link below.